Are you looking for a bolo tie that just doesn’t exist? Take a fresh look at buckles, pins and pendants! In the hands of our master silversmiths, any large flat piece of jewelry, like a buckle, pin or large pendant can become a great bolo tie! You can select the size and color of cord and style of tips and we’ll take care of the rest! We’ve converted hundreds of pieces into bolo ties for customers all over the country. Take a look at a couple of pieces converted right here in our shop in Scottsdale, AZ. Questions? Just email us or check out our website. 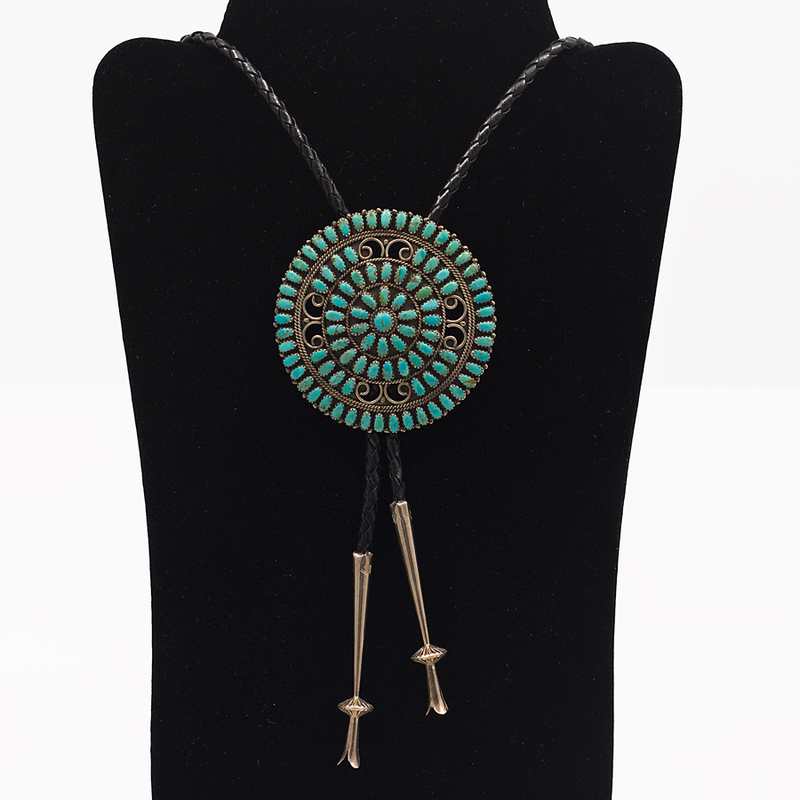 We’d be happy to help you create the bolo tie you’re looking for! 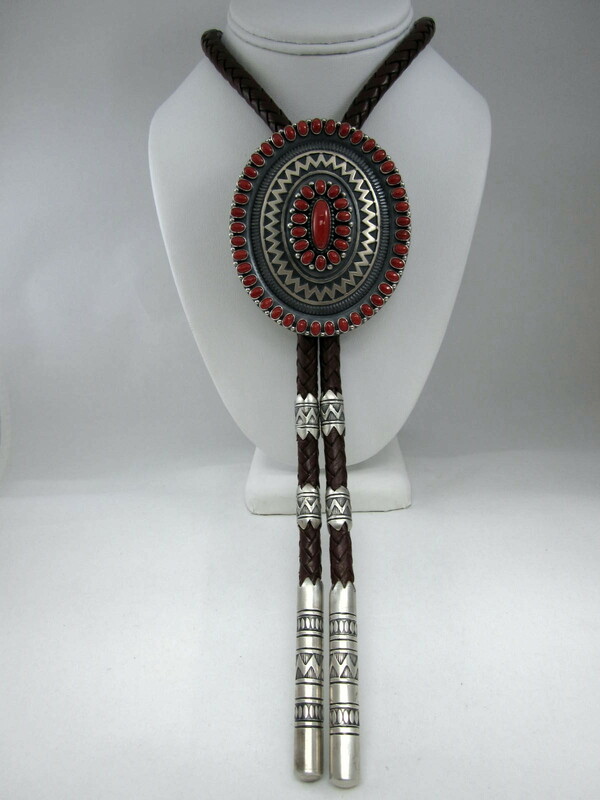 Our silversmiths created this stunning bolo tie from a Larry Moses Begay pin! This was originally an Ernest Roy Begay buckle which was converted to a bolo tie with custom tips and ferrules. This entry was posted in Blog, Custom Gallery and tagged Bolo Ties, Custom Pieces. Great idea – I need to look through my box. I REALLY like that bolo tie !!!! !